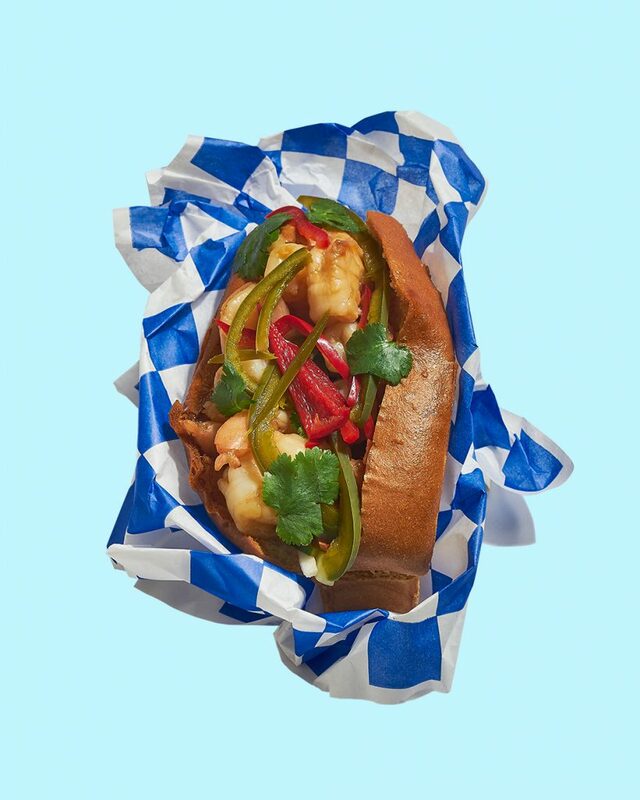 It’s a counterintuitive choice, the shrimp banh mi roll at Court Street Lobster Bar. I mean, they have both Maine-style (mayo) and Connecticut-style (clarified butter) lobster rolls, heavenly lobster mac and cheese, and that swoony lobster bisque. The place has lobster in its name, for heaven’s sake. But go off the reservation and you’ll be rewarded with this chubby roll, packed with sweetly briny shrimp, tart pickled veggies, tingly-hot jalapeño strips, and rich “chicken butter” (hello, pâté, we see you). The toasted Sixteen Bricks challah bun stands up to all that, adding a buttery note, and cilantro brings a vegetal tang. With a teaser cup of creamy, slightly lemony house slaw, it’s a perfect lunch.